What’s Your Jung Typology: The Answer May Surprise You! After having majored in psychology during my undergrad and then specialized in transpersonal psychology during grad school, it’s fair to say that I’m curious about the make-up of humans from a psychological perspective. A few weeks back, I wrote a post about how I scored on Strengthsfinder 2.0. In light of this post, I thought I would continue to write posts about how I scored on other tests. 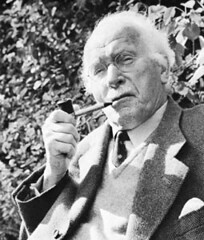 These tests are based on the work of Carl Jung, David Kiersey, Isabel Myers and Katherine Briggs. They are similar in underlying theory to the Myers-Briggs Type Indicator (MBTI) and the Kiersey Temperament Sorter. They measure four bipolar factors, Introversion/Extroversion, Thinking/Feeling, Intuition/Sensing, and Judging/Perceiving. Having been a psychology student for as long as I have, I’m familiar with the MBTI and have taken the actual test on a couple of different occasions enough to know where I usually score on the four bipolar factors. In fact, part of my interest in taking the few tests with this site was to see if the assessment was accurate. The first test I took was a Word Choice Test. Initially, you enter your gender and then you are taken to a page with 36 pairs of words wherein you are asked to select the position between the words (5 spaces) where you exist between the words. I thought that this was rather interesting. I’d never taken a paired word test to assess my Jung typology before. I’ve bold-faced the words that I do feel strongly about (in that they do describe me) and I’ve italicized some of the negative adjectives that I’ve heard used to describe some of the things I’ve done in the past. When I inquired with those who thought I was arrogant, I learned that this had more to do with the way I conveyed information. With regard to manipulative — this is a word I remember being tossed around when I was a kid. I was told that I was quite good at getting my way (I don’t remember, really!) And lastly, “avoids giving in to others” – translation: stubborn; yes, I can agree to this one. I know that I can be, at times, stubborn. With the ENTJ description, I highlighted 10 adjectives that I agreed with (and 3 adjectives that I have heard people refer to me in the past) for a total of 13. With this ENFJ description, I’ve highlighted 17 adjectives that I feel accurately describe me at the present moment. So, I decided to take one more test. This test was very different from any other Jung typology test I had seen. On this test, (you had to select your gender, of course), there were 48 adjectives. Under each adjective were two rating scales (each with 5 spaces) where the participant is asked to rate their ideal selves and their real selves. In effect, the test is trying to gauge where you are and where you wish (or want) to be. I thought that this could be interesting, so I took the test. 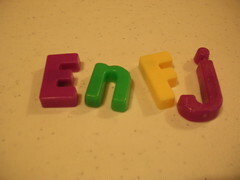 My results: ideal type – ENTJ; real type – ENFJ. How interesting. So, maybe the first test I took wasn’t off like I thought it was. Maybe it was just a better measure of my “ideal” self. Either way, I thought it was pretty cool to take this last test and get a result that validated my first two results. In the end, I am glad that I found this site with these tests because it gave me a different window into my Jung Typology. For as long as I can remember, I’ve always scored as an ENFJ on these sorts of tests, but it’s interesting to now have a different perspective in that maybe I really wish I were an ENTJ. If you only have time to take one test, I’d advise taking the last one (where you’re asked to measure your real and ideal self). The results may surprise you! This entry was posted in Psychology, Wisdom and tagged Carl Jung, Fresh Perspective, Test. Bookmark the permalink.